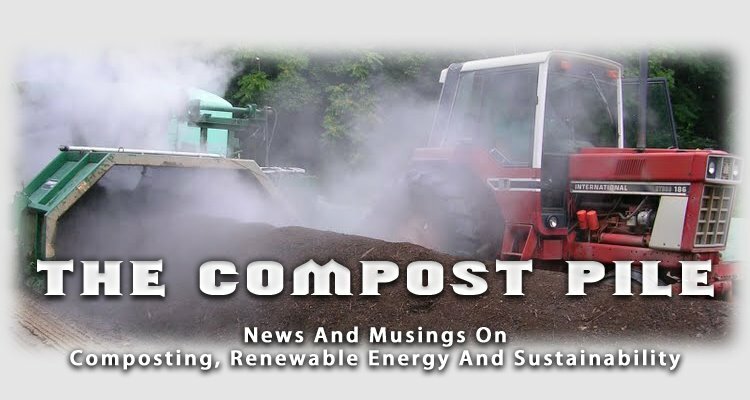 The Compost Pile is a Blog dedicated to news and commentary on issues of sustainability, focusing in particular on composting and organics recycling. Postings will connect organic waste streams to local food production and sustainable agriculture, and will include topics such as climate change, renewable energy, green design, biomass, zero waste, sustainable schools, water quality and curbside recycling. Intended to be a source of useful information, The Compost Pile will highlight success stories, raise concerns, offer practical advice, review innovative products and sustainable business, and will provide a forum for discussion.